John is the President of EWB Delaware Professional Chapter. He is a Senior Engineer working in the System Protection & Control department at Delmarva Power and earned his B.S. in Electrical Engineering from The Pennsylvania State University. John joined EWB Delaware Professional Chapter in 2016 and had the opportunity to be part of the first implementation travel team. In his spare time he enjoys getting in over his head on a new DIY project. Megan is the Vice President of EWB Delaware Professional Chapter. She works as an Environmental Engineer for Golder Associates. Megan studied Environmental Engineering at the University of Delaware where she was a member of the EWB-UD student chapter. 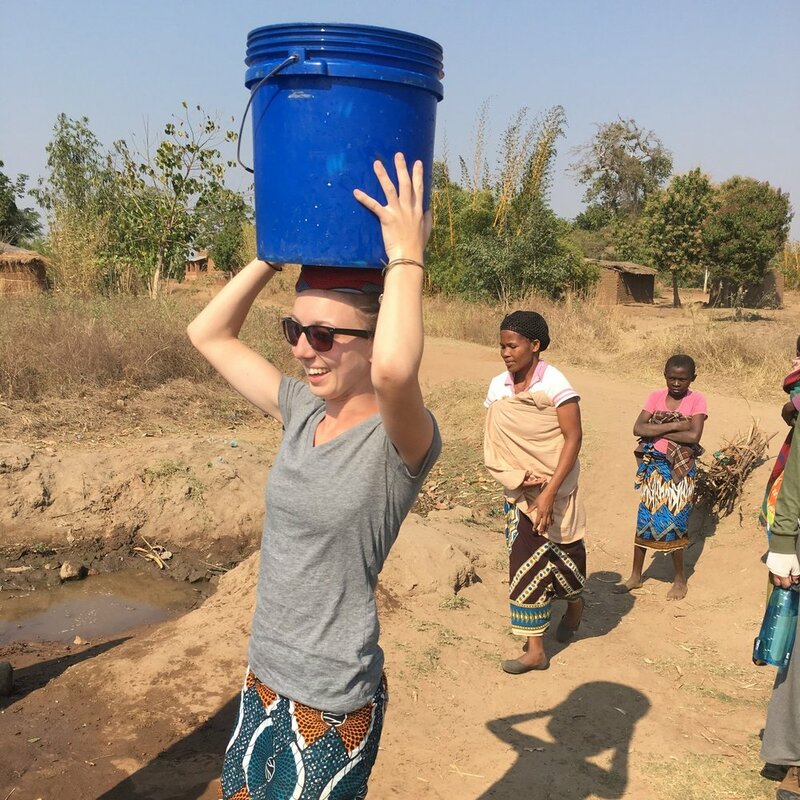 She served as project lead for the Malawi project with EWB-UD and traveled to Malawi on an implementation trip where the team successfully installed a borehole well, providing clean water to a community of 500 people. Andrew is the Treasurer of EWB Delaware Professional Chapter and has been the Design Mentor for the Imurtot Primary School project since 2016. Andrew works as a water and wastewater engineer at Artesian Resources. Andrew earned his Bachelors of Engineering from the University of Delaware and his Masters of Business Administration from Marist College. Andrew was part of the chapter's first implementation trip in February 2018 and is actively involved in both fundraising for the chapter and the project design. Amy is the Secretary for EWB Delaware Professional Chapter. She is the CSO for Avkin, a start-up company that develops wearable technology for nursing and medical simulation. Amy studied Mechanical Engineering at the University of Delaware. At the University of Delaware Amy was project lead for the Cameroon project and traveled on three implementation trips to install a water distribution system. Kim is the Project Lead of EWB Delaware Professional Chapter. She works in the environmental planning department at Delmarva Power. Kim studied Environmental Engineering at the University of Delaware, where she joined the EWB Student Chapter. She traveled with the EWB Student Chapter twice, to install a water distribution system in Cameroon. After college, she joined the Philadelphia Chapter and traveled to the Philippines to oversee a well drilling project. Kim has also volunteered with our partner, Water is Life Kenya, and is very excited to be partnering on a water project with them! Joyce is the heart and soul of Water is Life Kenya, a non-profit organization that brings clean, accessible water to communities in Southern Kenya. She spends most of her time in Kenya directing the operations of Water is Life Kenya, including designing water and livestock projects.